A good winter jacket is something you really have to have when it gets cold out. And no one does winter gear quite like North Face and Columbia. In this review, we will check out the best-selling jackets from both of these brands, and see which ones are actually worth your money. I did my best to choose jackets that are both high quality and really popular, and are also available in both men’s and women’s version. The best of both worlds so to speak! So, whether you’re shopping for yourself or for someone else, you will see plenty of different options! And hopefully, you’ll actually love some of them. A good winter jacket will keep you warm even when it’s below zero outside. And all of these jackets will do that. But naturally, some are warmer than others. Keep an eye out for either the fill power of down in a jacket, or the down-feather ratio. The fill power of down ranges from about 550 to 800. The higher that number, the warmer the insulation in the jacket. But, the actual amount of insulation is also pretty important – 200 grams of 550 fill power down is much warmer than 80 grams of 700 fill power down. That’s usually what makes one jacket warmer than the other, but there are some other things that you should look for. Also, not all jackets featured here are insulated with down. Some of them have hybrid insulation, or even PrimaLoft, which is actually the better choice in some cases. I will tell you about the type of insulation in every one of these jackets, as well as the level of warmth you can expect. The lining is also really important. Fleece-lined jackets tend to be super warm, but they are not really that breathable. On the other hand, jackets that are too breathable aren’t always that warm. Usually, you want the best of both worlds – a jacket that’s good at retaining body heat, but that is also breathable, and won’t make you sweat. I do think that Columbia does lining slightly better than North Face, simply because they have their proprietary technology. Omni-Heat does lining is excellent at keeping you warm but also letting the jacket breathe at the same time. However, it’s not really featured in every single one of these Columbia jackets. Another thing you need to consider is how exactly warm do you need the jacket to be. If you live in an area where it doesn’t get super cold in the winter, then you don’t really need an ultra-warm jacket. Sure, it’s great to have a backup jacket in case you need it, but isn’t your money better spent on something you will actually wear on a daily basis? So, definitely consider what level of warmth you actually need, before you commit to a certain jacket. There are a ton of different types of winter jackets. I did include a few different types of jackets in this review, but we will mostly focus on warm, everyday jackets. If you are looking to get a really good jacket to get you through the entire winter, you will see plenty of different options. You will also see a couple of ski jackets and parkas from each brand. So, if that’s what you’re looking for, I’ve got you covered. It’s really hard to say that one brand does a certain type of jackets better than the other. In the end, it usually comes down to what you prefer and what you like best. But, you can always compare the pros and cons of a certain jacket type, to make that decision more easily. You want a warm jacket, that’s a given. But what else are you looking for? Do you want it to be water resistant? Wind resistant? Do you want a slim-fit jacket, or a pretty loose jacket that you can combine with several layers of clothing? Do you need something with a bunch of pockets, or are they not at all important to you? What about the hood – will you wear it or will you remove it the minute you unpack that jacket? And so on and so forth. You should have a good idea of which additional features you are willing to compromise on, and which are a must. This will make finding the right jacket so much easier and quicker. Usually, if a jacket is obviously lacking something, I will list that in the cons section. And if it really wows with a certain feature, I will list that in the pros section. Keep in mind that there are some differences between men’s and women’s versions. Most often it’s the number of pockets, so no surprises there. And if there are any other significant difference between the men’s and women’s versions, I will tell you about them in the mini reviews. 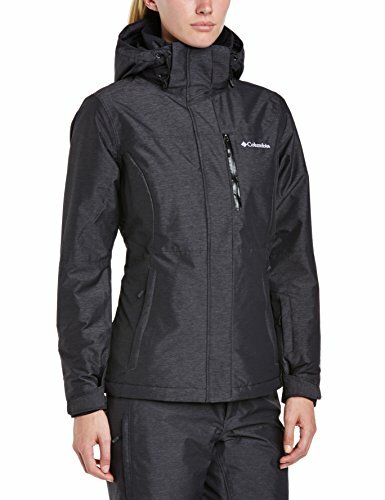 If you are on a tight budget and want to get a really good jacket for as little money as possible, I strongly suggest you pick up a Columbia jacket. They are generally cheaper, in the sense that you’ll find a Columbia jacket for less than $100 more easily than a North Face one. Neither of the brands are really cheap, but Columbia does have better prices overall. 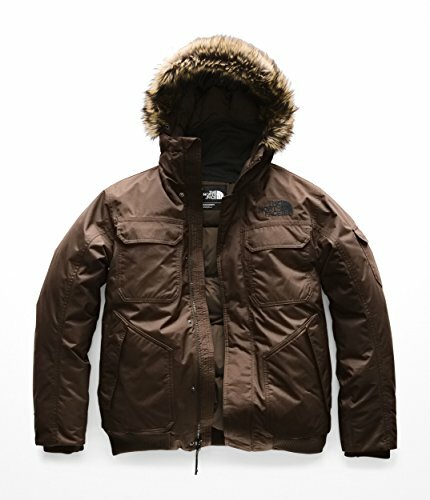 North Face is definitely the more expensive brand, but it is also much more mainstream. 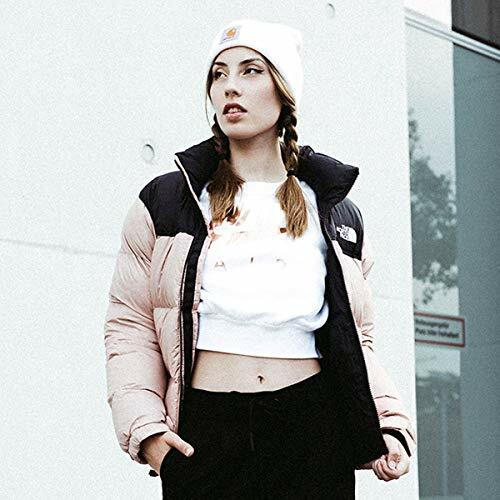 Meaning that if you want to stay on trend this winter, TNF is a better fit for you. But keep in mind that you can always find really good deals on Amazon for both of these brands. There’s always some kind of sale going on, especially during the holidays. So, if you really want that North Face jacket, you’re better off getting it on Amazon than elsewhere. I did a more detailed review of this jacket a while back, so be sure to check that out if you’re really interested in it. There are some interesting differences between the men’s and the women’s versions, but I don’t really have the space here to tell you every single one. The most obvious difference between the two jacket is the design of the exterior – at first glance, you can’t really tell that they are the same jacket. Basically, the men’s version is the third iteration of the jacket, while the women’s version is only the second. Which means that the men’s Gotham jacket has quite a few features that the women’s doesn’t. For one thing, the men’s Gotham is completely waterproof and windproof, unlike the female version. Then again, the women’s version is so much lighter than the men’s – nearly 30 oz. 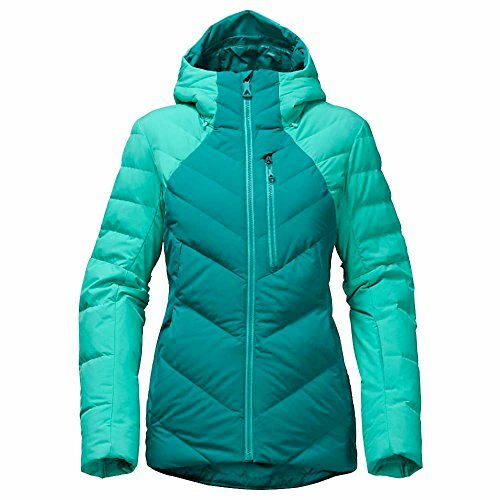 But both jackets are insulated with 550 fill power down, and the women’s jacket also features an additional 160 grams of Heatseeker – TNF’s proprietary insulation material. Both are also really warm jackets, and suitable for really cold weather. The women’s Gotham jacket is also available in a parka version, so be sure to check that out as well. A parka just does a better job at keeping you warm, simply because it covers more of your body. The ThermoBall jacket is for those of you who are looking for something that’s not ridiculously warm. This is a jacket for places where the temperature rarely drops below zero in the winter, or for people who want to wear this underneath another jacket. Don’t get me wrong – it is a warm jacket, it’s just not warm enough for super cold weather. But on the upside it is really thin, lightweight and stowable. I really think that this is a great choice for travel – it takes up barely any space in your luggage, and it’s thin enough that you can wear it underneath a bigger jacket if you need the extra warmth. The jacket gets its name from the insulation – PrimaLoft ThermoBall. This is synthetic insulation, which does a good job at keeping you warm, but also offers excellent weight to warmth ratio. Which is obvious from the specs of this jacket. The men’s and women’s versions are the same – both have one internal and two external pockets, as well as elastic cuffs and a hem cinch-cord. Both are also water and wind resistant, which in combination with the weight and overall portability makes these a great choice for hiking. However, neither of these has a hood, so keep that in mind. Puffy jackets with oversized sleeves are super popular this season. Not only did they make appearances on runways and in fashion magazines, but they are pretty much everywhere. And if you want to be on trend this winter, then the 1996 Retro jacket is the perfect choice for you. And it’s not just a trendy jacket. It is insulated with 700 fill power goose down, so it’s also super warm. The boxy silhouette allows you to wear several layers underneath this jacket, which can be pretty useful in really cold weather. I think the only downside to this jacket is the length. It’s pretty short and it stops around your hips, so it does nothing in terms of keeping your thighs warm. But, you can cinch in the bottom cuff, to keep any draft out. Additionally, the hood can’t be fully removed, but it does stow into the collar. It is both wind and water resistant, so you’ll be fine in both snow and light rain. And one thing I really like about this jacket is that it packs into its own pocket! That’s actually really surprising, considering the size of it. But it makes it super convenient for travel, since it takes up so little space in your luggage. 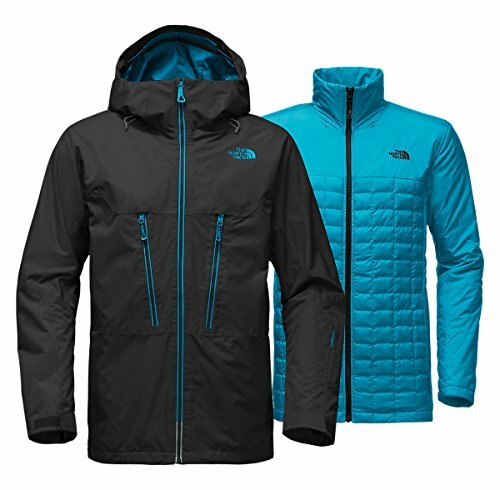 The Corefire is the North Face version of a ski jacket. Which you can also wear for on a daily basis, simply because it looks so damn good. But in terms of skiing or snowboarding features, the jacket has ski to pant integration, as well as several rally roomy pockets for your necessities on the slopes. Plus, there’s plenty of color variety, and you can easily pair it up with your ski pants. This jackets features two types of insulation. 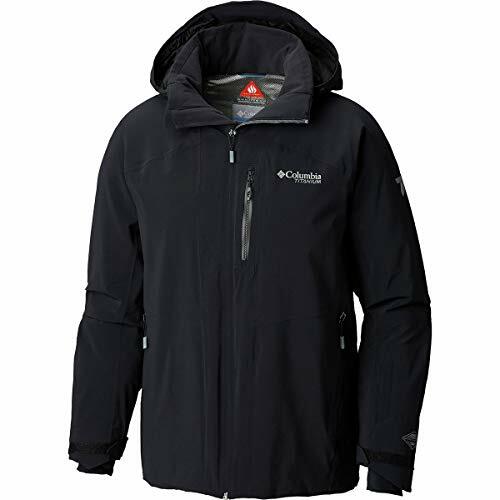 Its main body is insulated with 550 fill power goose down, while the hood, underarm and seat are insulated with PrimaLoft Black synthetic insulation. The combination of these two makes this a super warm jacket. Additionally, the exterior of the jacket is made from Goretex, which significantly helps keep you warm and dry. It’s not a 100% waterproof jacket, but it is water resistant, as well as wind resistant. Which is perfectly fine for the purpose – you won’t be skiing and heavy rain anyway, and the snow can’t really permeate the outer shell of the jacket. This is a standard fit jacket, so you can wear several layers underneath it. It is a really good choice for winter sports – I particularly like the dedicated goggles pockets, and the addition of a zippered wrist pocket with goggle wiper. There is a spot for everything you would want to have on the slopes, and you can even organize all of it neatly in your jacket. I dare call this the ultimate winter jacket. For one thing, you actually get two jackets for the price of one, and you can wear this three different ways. Just the outer layer, just the inner layer, or both. Which is pretty cool, and actually more useful than you might think. 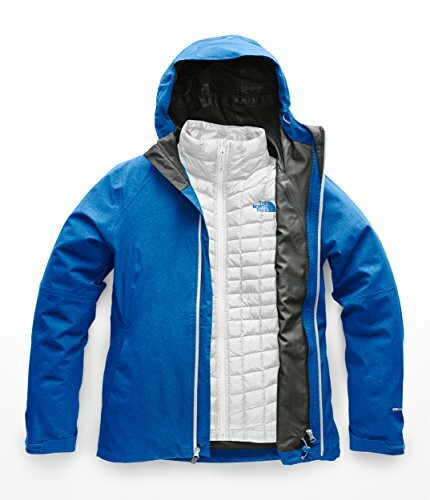 The outer shell is 100% waterproof and windproof, and it has all the pockets for your skiing gear. And the shell alone is actually an awesome windbreaker, that you can wear in spring or autumn, when it gets really rainy outside. It’s coated with DWR, which further insures that no water can permeate it. The inner jacket, on the other hand, is what keeps you warm. It is insulated with PrimaLoft ThermoBall, which is super warm. The women’s jacket also features Heatseeker on some parts, mostly the side panels and sleeves. But what I really like about this jacket is that you can actually zip up the inner layer into the outer layer, and wear it as a single jacket instead of two. And I think that’s the best option for skiing or super cold weather. You get a bunch of pockets on both the shell and the inner jacket, so you will have plenty of space for your gear even if you do combine the two jackets. Also, only the outer shell features the hood, which is not removable. But overall, this is definitely one of my favorite jackets out of the bunch. The Alpine Action jacket is Columbia’s version of a versatile ski jacket. With pockets for goggles and a ski pass it’s obvious that this jacket was designed for the slopes. But, the overall appearance of the jacket, as well as the fact that it is fully windproof, also make it a good everyday jacket. It features Omni-Heat thermal lining. That’s Columbia’s proprietary material – it includes reflective dots throughout the fabric that help retain your body heat. Which makes the jacket super warm, even though it’s pretty thin. Additionally, it is also seam-sealed, so it is completely waterproof, but also breathable at the same time. The jacket is insulated with polyester microtemp – a synthetic insulation which does a really good job at keeping you warm. It is not as fluffy as goose down, but it is much lighter. And it works really well in combination with the lining. Overall, it is a pretty versatile jacket. And it also has a bunch of different internal and external pockets, which is useful not just on the slopes but also in the city. Plus, it’s a standard fit jacket, so you can easily wear a few layers underneath it. Just go a size up, since it tends to run somewhat small. The cuffs are elastic and they will keep the cold out, and so will the adjustable hem. The storm hood is also removable, which is actually pretty helpful since it could get in the way while you are skiing. Runs small – go a size up! 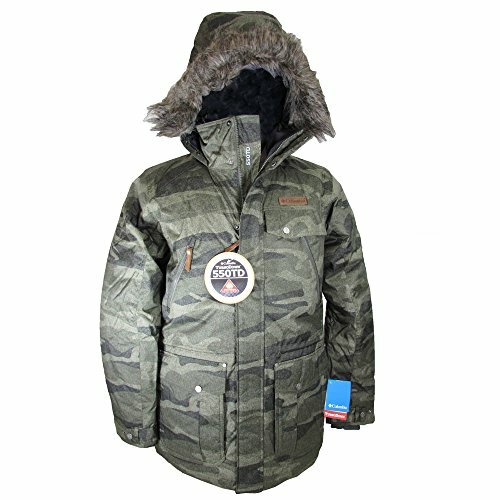 The Boundary Bay is more a parka than a regular jacket, since it is pretty long. It has a waterproof shell made of Omni-Tech polyester, which is also breathable. In addition to that, both the men's and the women's jacket are insulated, but with different technologies. The men's Boundary Bay features microtemp polyester, while the women's has thermarator polyester. Both of those are synthetic insulations, and both do a really good job at keeping you warm. This is actually a pretty versatile jacket - you can wear it in the winter, but since it's waterproof it's also a good choice for spring or fall. Just wear lighter clothing underneath and you won't be too warm. The men's and women's jacket differ in the number of pockets - the jacket for the ladies only has two zippered external pockets. They are pretty deep though, and can easily fit your phone and gloves. But the men's jacket also has two zippered chest pockets, and a media pocket as well. Both of the have elastic cuffs that keep the draft out, as well as an adjustable hood. Also, the hood is actually pretty large, and it does a great job of protecting you in wet weather. Even if you forget your umbrella, the Boundary Bay will have your back. The Snow Rival is another good option if you want to get a versatile ski jacket. 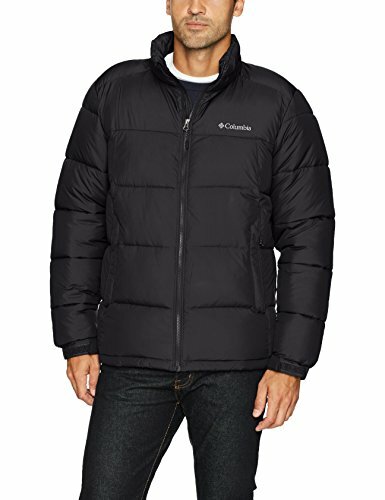 It features Omni-Heat reflective lining, which does a great job in keeping you warm. Especially when you combine it with Omni-Heat Thermal insulation. Both are Columbia’s proprietary materials, and they work together to retain your own body heat and allow it to circulate. But, they also allow the jacket to breathe, so you don’t get too hot and sweaty when you’re wearing it. Overall, it’s a really good choice for the slopes, but also for the city, if you live in a really cold area, since its design doesn’t scream ’ski jacket’. Both the cuffs and the hem are elastic and adjustable. Not only does that keep the draft out, but it also allows you to make the jacket fit you really well. The storm hold is also adjustable, removable, and helmet compatible. Other ski-features of this jacket include a ski pass pocket, media and goggle pocket and a drop tail. Additionally, there’s also an internal media pocket that can easily fit your phone, and the thumb hole on the cuffs ensures that the sleeves stay in place. Overall, this is definitely one of the top Columbia jackets you can buy – and the one you’ll probably wear most often. You can tell from the design that this is an everyday jacket. It looks pretty puffy and a little oversized, which is actually super popular this season. The men's and women's versions of the jacket are pretty much exactly the same, but with some differences in color variety. The ladies have a few more options to choose from. But, in terms of the features that actually matter, they are very much alike. Both jackets are insulated with Polyester, which does a good but not really great job at keeping you warm. However, the Omni-Heat reflective lining pretty much does all the work anyway, so you should stay toasty while you're wearing this jacket. Other features of the Pike Lake include an internal media pocket, zippered hand pockets and an adjustable hood. It's not removable, so you are stuck with it. Additionally, the hem and the cuffs are elastic, and they should keep the draft out. One downside of the Pike Lake is that it is not waterproof, which we actually see pretty often with these puffy jackets. It is pretty breathable though, so even if it gets wet, it should dry out quickly. Overall, it is a great choice for cold areas, and it is actually pretty affordable! Columbia calls this jacket ‘a down jacket on steroids’ and I just had to share that. That’s because the insulation of the Barlow includes 450 fill power down, as well as 100 grams of their synthetic insulation. That, in combination with the thermal-reflective lining is a recipe for supreme warmth. So I get where they are coming from, with the steroids comparison. There is such a thing as being too warm, and this might not be a great jacket if you live in an area where the winters are pretty mild. But if you are looking something that will get you through days of temperatures below zero, the Barlow is an awesome choice. Especially because it’s almost as long as a parka, and it will also keep part of your thighs warm. The Sherpa-lined collar will kind of seal in the warmth around your neck, and ensure that your body heat can’t escape. The elastic cuffs and adjustable waist also help seal in the heat and keep all the draft out. The hood is removable, and so is the synthetic fur trim. Oh, and the jacket is waterproof, and it keeps you warm even if you get it wet, which is pretty cool. I don’t think it’s a great choice for heavy rain still, but that certainly helps in snowy weather. Also, the men’s version only has one pocket more than the women’s version – both jackets feature an interior security pocket, zippered hand pockets and zippered chest pockets. It's pretty impossible to say that one of these brands is better than the other. 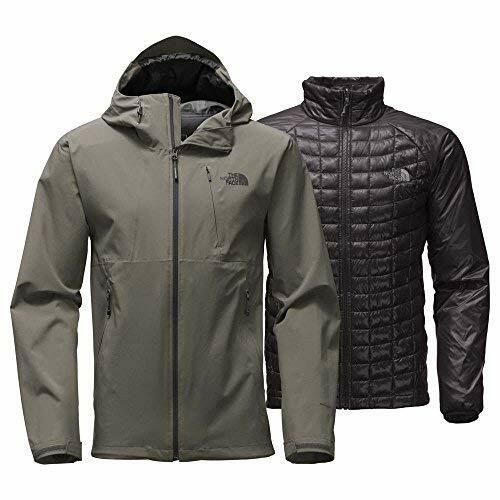 North Face focuses a bit more on making stylish and modern products, while Columbia puts all of their effort into making ultra-warm jackets. But then again, that does not mean that TNF jackets aren't warm, or that Columbia jackets aren't stylish. So you see my dilemma. But there are some jackets that obviously perform better than the others, so that's what I'll focus on here. North Face's Retro 1996 Nuptse jacket is the perfect choice for this winter. It's on trend, super warm and incredibly lightweight, even though it looks so fluffy. Plus it packs into its own pocket, which makes it really great for travel. You get a really warm jacket that takes up really little space in your suitcase, which is always a bonus. 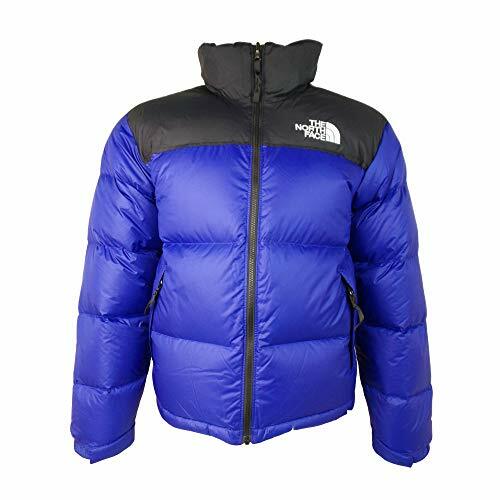 The other North Face jacket I really loved was the Triclimate ThermoBall jacket. It's basically three jackets for the price of one, which I think is a really good deal. It's warm, waterproof, great for both the slopes and the city and just really good value for money. This is a jacket that you won't wear just in the winter - because you can separate the shell from the inner layer, you also get two jacket that are also great for fall and spring. Out of Columbia’s jackets, I think that the Barlow is the best choice for this winter. It is exceptionally warm, which is pretty important if you live in a really cold area. But it is also waterproof and has tons of different pockets, as well as a removable hood. On top of that, it actually looks really stylish, and you can easily wear it with any other outfit. Columbia’s Alpine Action jacket has to be my favorite choice for the slopes. It’s actually a pretty affordable ski-jacket, which you don’t see that often. And with their proprietary Omni-Heat insulation and lining, you will stay warm no matter how low the temperatures drop. On top of that, the waterproof shell of the jacket will help retain that body heat even if you’re so bad at skiing that you wind up looking like a snowman! PREMIUM INSULATION: The Columbia Sportswear Men's Alpine Action Jacket keeps you warm during serious winter weather. The Columbia men's hooded jacket combines superior synthetic insulation and thermal-reflective lining. MOUNTAIN READY: This jacket is perfect for serious alpine enthusiasts. Handy features like adjustable cuffs, zippered hand pockets, a snapback snow skirt, and removable storm hood keep the powder on the slope, and not inside your jacket. 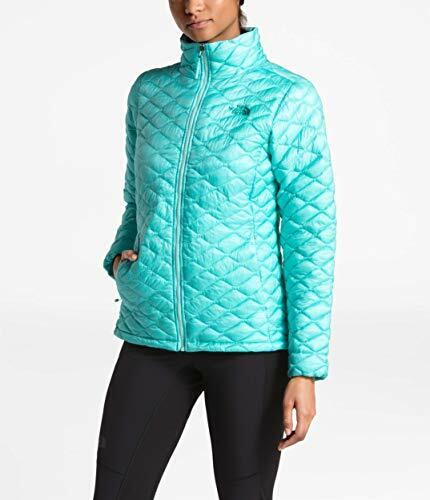 ADVANCED TECHNOLOGY: This women's winter jacket features our signature Omni-Tech fabric for a waterproof, breathable construction and Oni-Heat Reflective Thermal Reflective Warmth that reflects your body heat to keep you warm. HANDY FEATURES: This waterproof jacket features an interior security pocket, zippered chest pocket, zippered hand pockets, media and goggle pocket, and a ski pocket for added security. In general, you are fine getting any one of these jackets. Remember, all of them are really popular and made from premium materials. So, head over to Amazon to check out the prices of the jackets you like, as well as all the different color options!